Peloton is reportedly a step closer to an IPO that could value it at more than $8 billion. 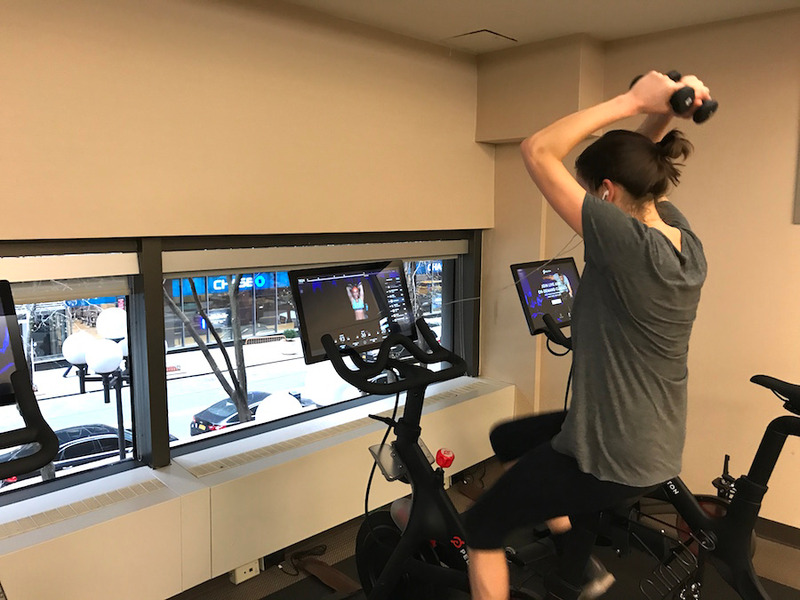 Here's how this high-tech fitness company compares to SoulCycle. Business Insider/Mary HanburyPeloton’s bike allows you to stream classes live from home. 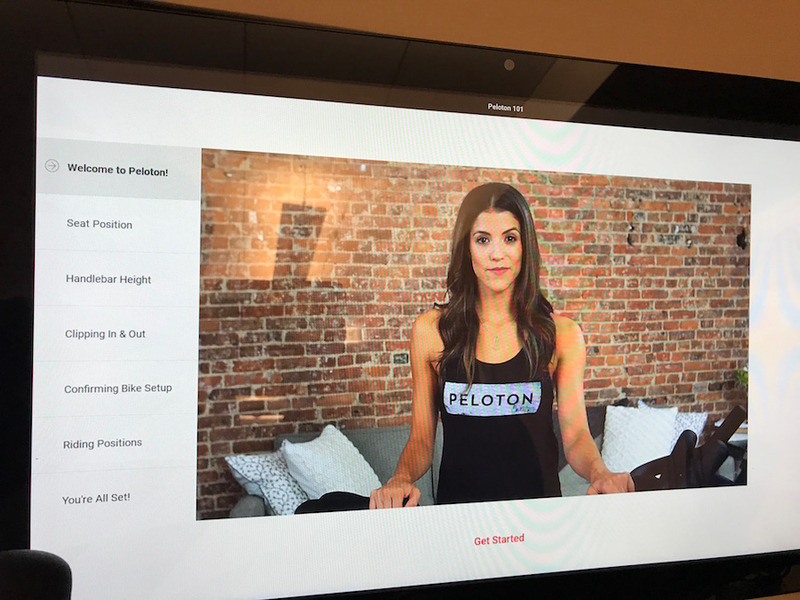 Peloton is repeatedly one step closer to filing for IPO. It has chosen Goldman Sachs and JPMorgan to lead the deal, Bloomberg reported on Sunday. The deal could value the company at more than $US8 billion. 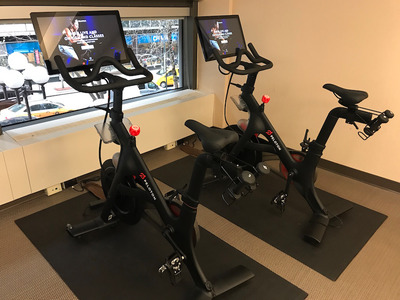 The company has revolutionised home fitness with its high-tech indoor bike, which enables users to stream live classes from home. One of its main rivals is indoor cycling brand SoulCycle, which launched in 2006 and now has more than 90 studios across the United States and Canada. 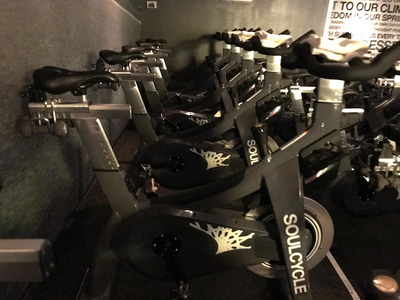 SoulCycle also filed to go public in 2015 but eventually pulled those plans. We compared the experience of taking a class with each brand, and there was a clear winner. 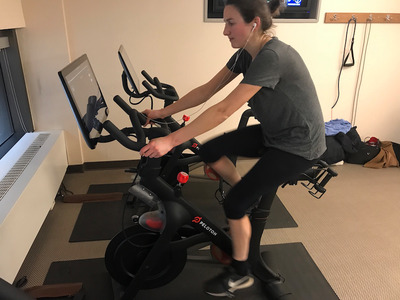 Indoor cycling is becoming the most competitive space in the fitness market. Until 2012, SoulCycle seemed to be invincible with its cult following of fans who were prepared to pay as much as $US36 a class. Then Peloton came along. 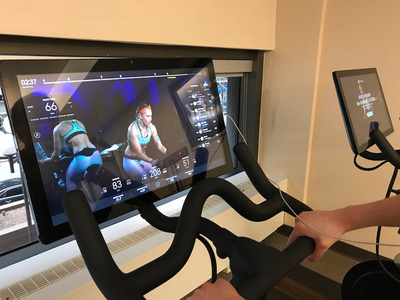 The high-tech fitness company, which launched in 2012, enables users to stream live classes from anywhere, making it possible to get a SoulCycle-style experience without ever leaving your bedroom. And it seems to be paying off. 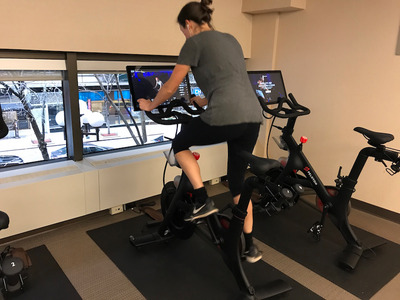 Peloton was valued at $US4 billion after it closed a $US550 million financing round in August 2018 and is now making plans to file for an IPO in the second half of 2019, The Wall Street Journal reported earlier this month. The company has reportedly chosenGoldman Sachs and JPMorgan to lead the deal, which could value the company at as much as $US8 billion, according to Bloomberg. We headed over to the Westin Hotel near Grand Central Terminal in Manhattan to trial a Peloton bike, which is available for hotel guests to use. The first thing that struck us is how much better the size of the bike is compared to its newest product, the Tread. This bike could easily occupy a corner of your apartment without being too intrusive. 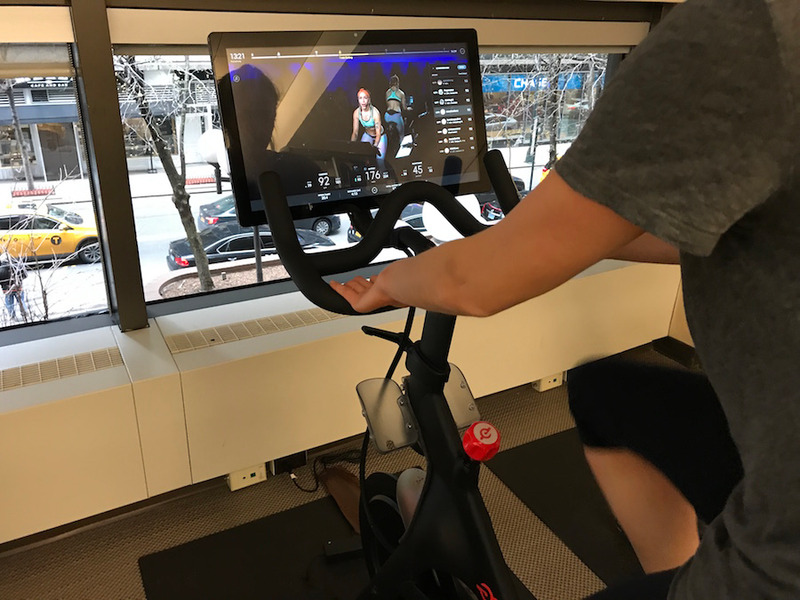 Each bike has a touchscreen from which you can stream live and on-demand classes. It costs $US39 a month to stream these classes. 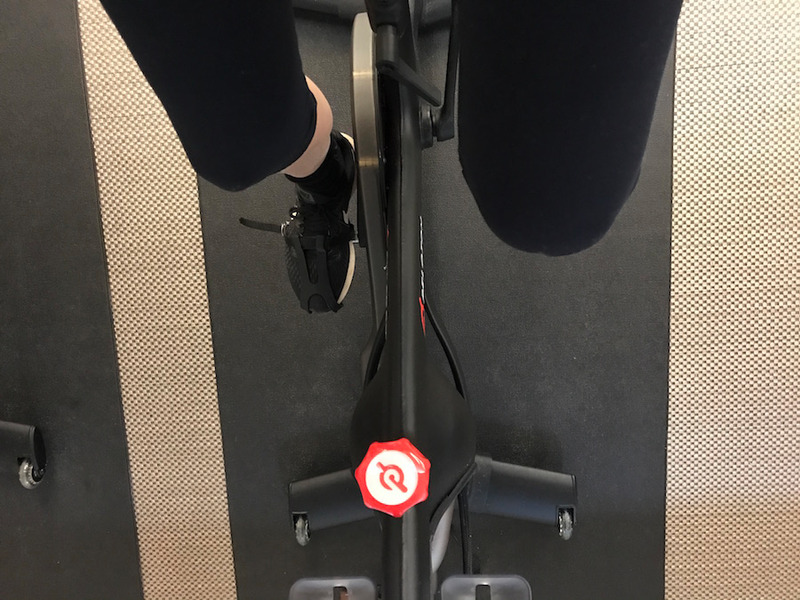 Peloton has a cycling studio in Manhattan, where you can attend these classes in person if you’d like. 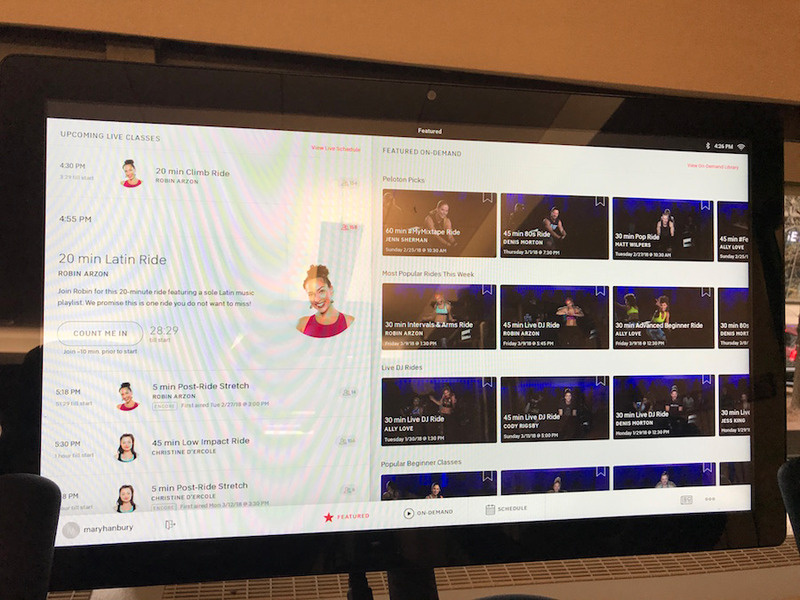 There are between 11 and 13 classes a day, and you can also stream these classes from home. The touchscreen was user-friendly, and at 22 inches in size, it’s easy to see. There are a ton of classes to choose from, ranging from 45-minute, high-intensity classes with weights to 10-minute, low-impact rides. 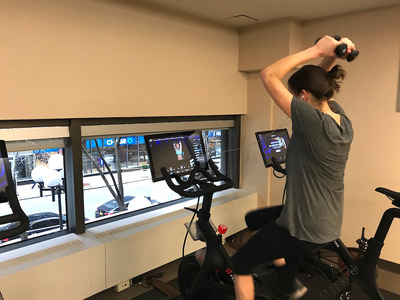 For our trial, we opted for a 30-minute intervals-and-arms class with instructor Robin Arzon. It’s an easy process from the get-go. The class began with a three-minute warm-up. The screen shows how fast you’re going, how much resistance you’ve got on the bike, and where you rank in the class in terms of output. This was the best part of the bike. At SoulCycle, there’s no accurate way to track your performance since there’s no screen on the bikes. This means you could end up slacking by not putting your resistance up as much as it should be. 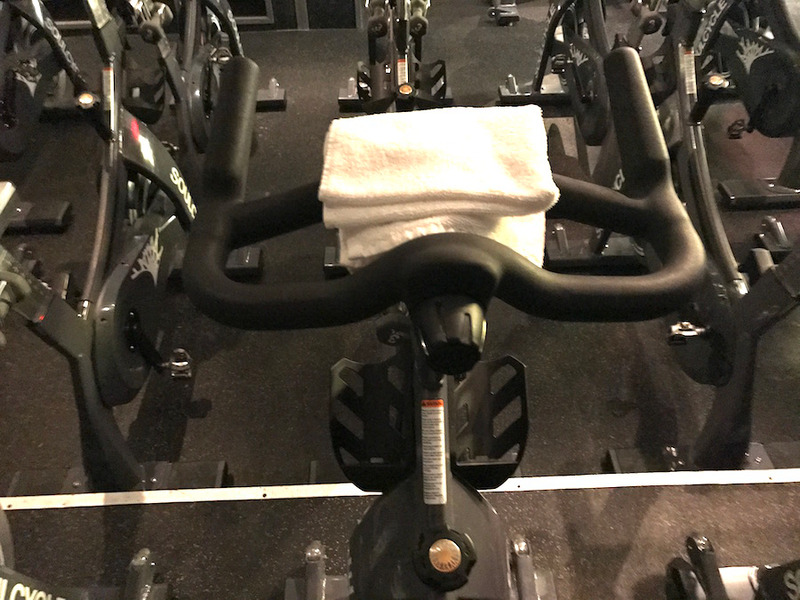 The instructor gives you exact instructions on what resistance level you should be on and what output you should be aiming for. This leaves you no chance to cheat. 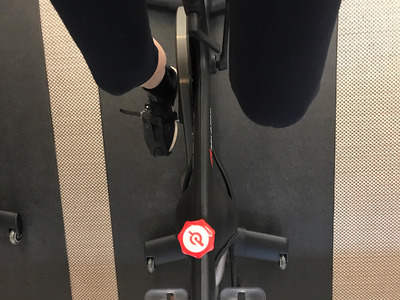 The resistance wheel is easy to adjust. As we were in a public space, we had to listen to the class via headphones. At times, the headphone cord tangled up with the handlebars. If you are streaming the class live, your username is added to a leaderboard on the right-hand side of the screen. 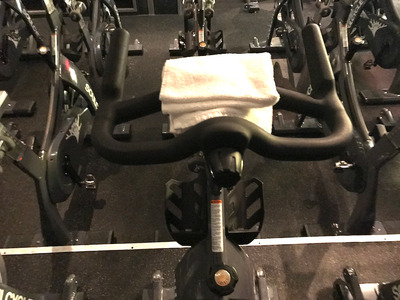 This means that the instructor can shout out your name to motivate you. 10 minutes in, the class switched to arm work. The weights are handily located at the back of the bike. 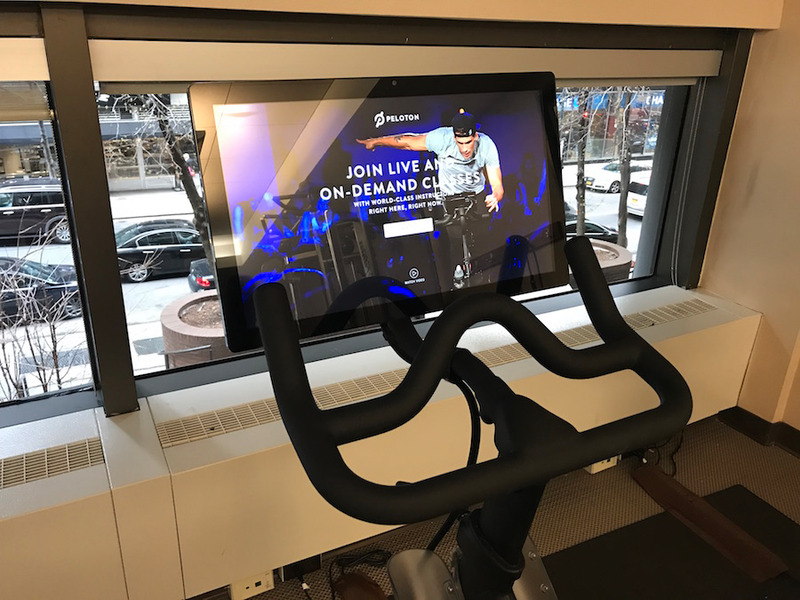 When you purchase a bike, Peloton gives you the option to choose between one set of weights. These come in either a one-, two-, or three-pound size. 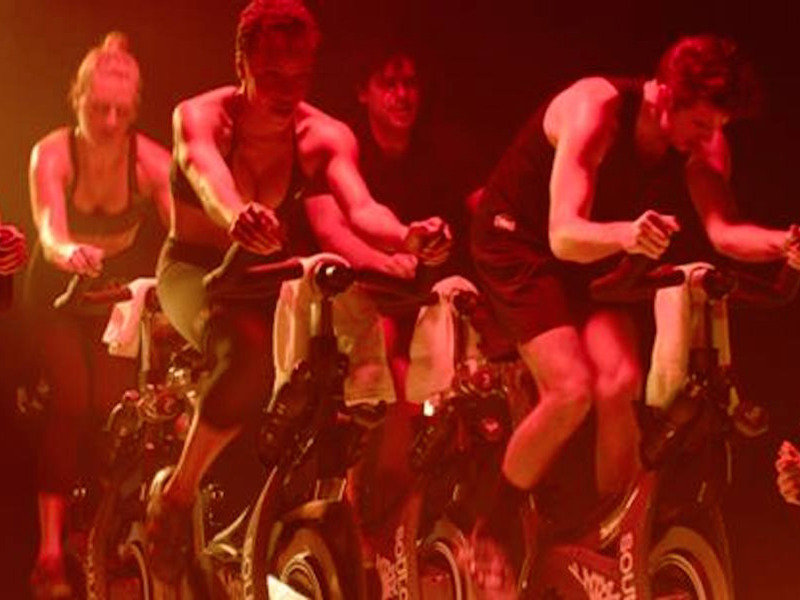 Next, we headed to SoulCycle in Soho. SoulCycle offers 45-minute classes that will vary by instructor. 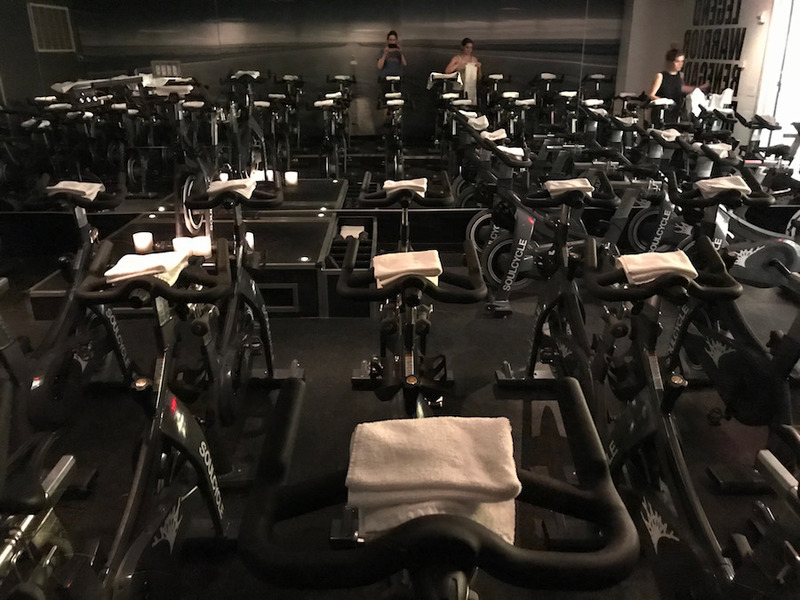 The mantra behind SoulCycle is that it’s more than just a workout: “It’s a powerful mind-body experience,” it says online. Mobile phones are not recommended in class, the lights are dimmed, the music is pumping, and it’s boiling hot. The bikes were tightly packed into a small space. 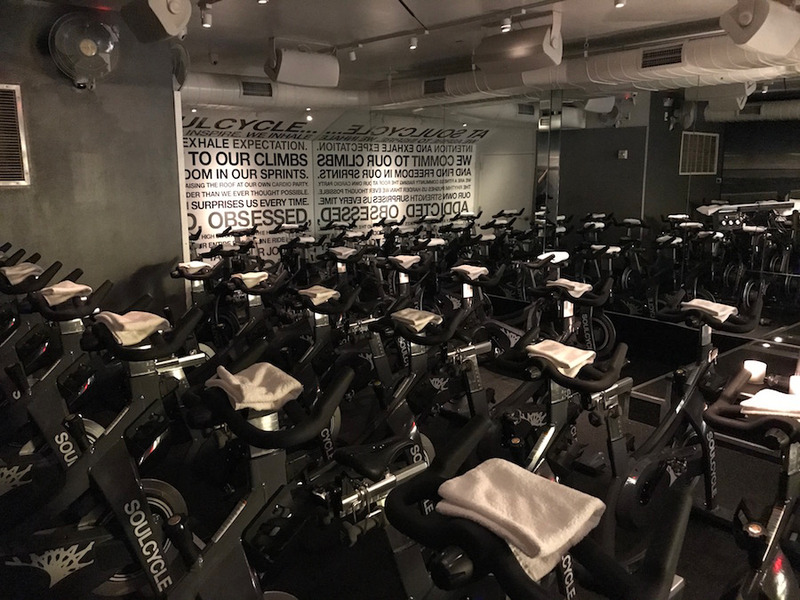 This obviously makes economic sense for SoulCycle, but it’s also designed to create an atmosphere that riders are all in it together. At the start, we were asked if we needed help setting up the bike. 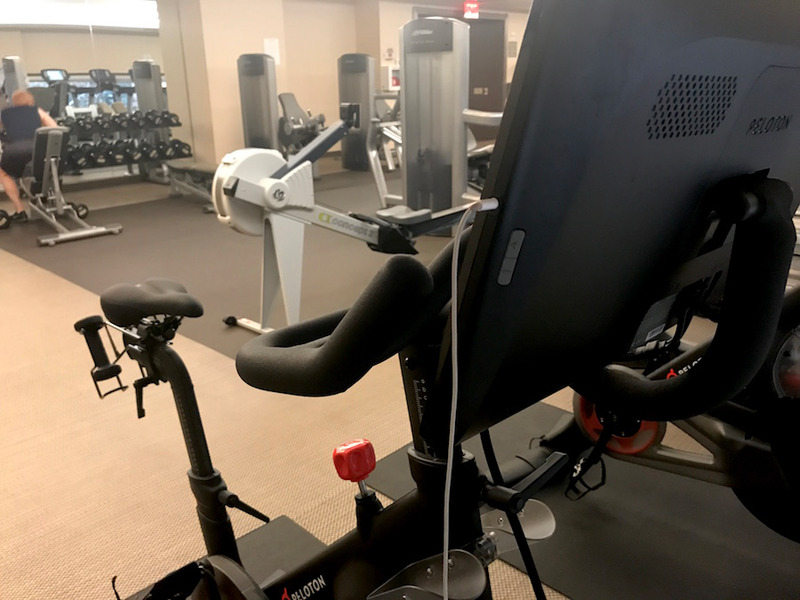 While this was great customer service, it’s not a service you would need with the Peloton bike as once it’s set up for you at the time of purchase, you’re good to go. 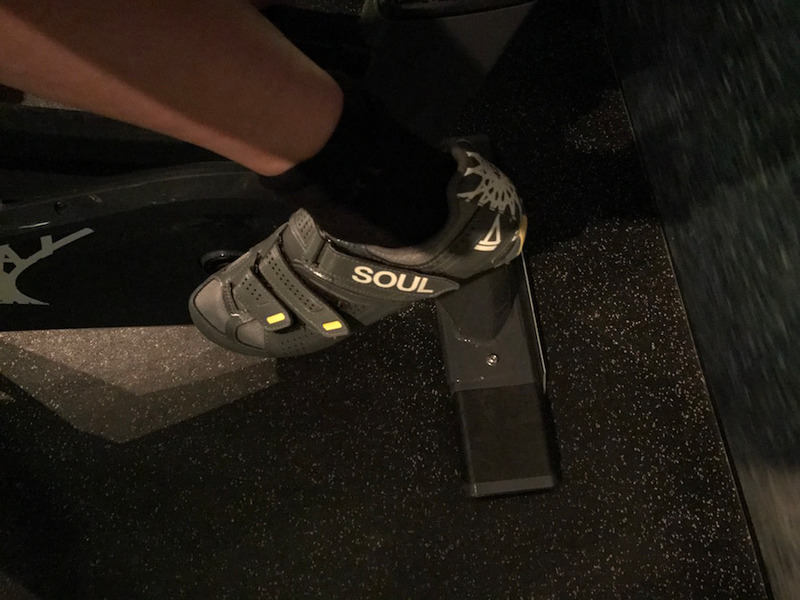 The SoulCycle instructor felt as much like a performer and DJ as a fitness guide. As the music boomed out of the speakers, the instructor was screeching out motivational words. The biggest issue is that with the booming music, it’s hard to follow what the instructor is saying. Without a screen telling you what resistance you’re on, it’s hard to know exactly how much you should be adding. This means there’s a lot of a room to cheat. Throughout the class, the instructor asked us to assume different hand positions on the bars. This was easy to follow. 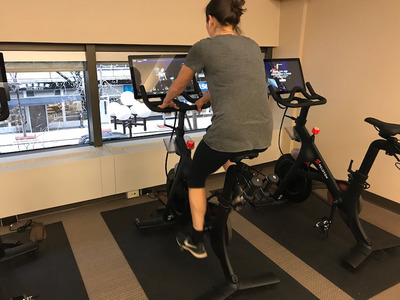 The bikes are about the same size as Peloton, but they felt a lot more sturdy. Peloton’s bike seemed to be rattling at times. SoulCycle was definitely a more fun way to work out, and if you don’t like working out alone, this is the option for you. However, Peloton was the overall winner. 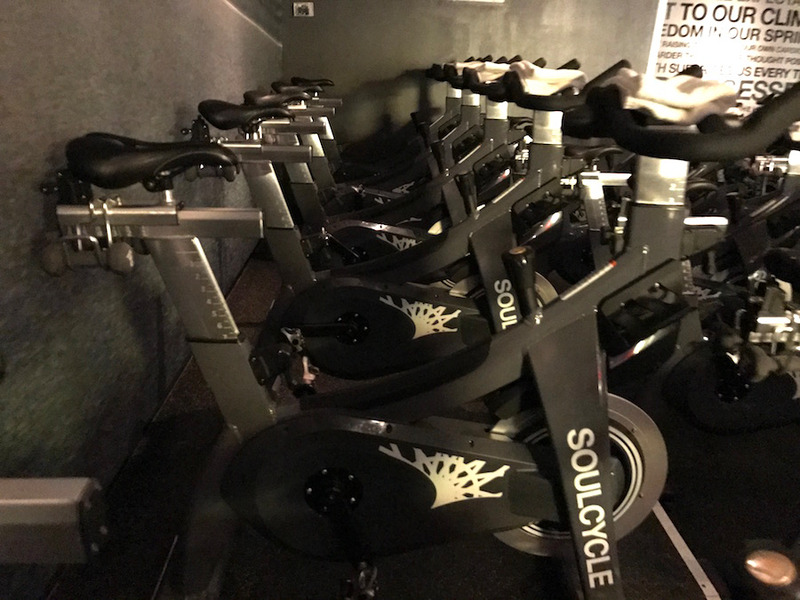 It’s easy to use, you have a ton of choices if you don’t have time for a 45-minute class, and the instructors felt as motivational as those at SoulCycle. Plus, you could do it without the hassle of having to leave your home.